The increasing popularity of marijuana-specific awards shows and industry competitions has given cannabis entrepreneurs an expanding platform to advertise and promote their products. In addition to the Cannabis Cup – the granddaddy of cannabis competitions – a host of other groups dole out awards to growers, infused products makers and dispensaries as well. Additional awards shows in Spain, the Netherlands and even South American present other opportunities. Winning an award can propel a product or company from obscurity to the limelight, solidify a market leader’s position in the industry and boost sales dramatically. But capitalizing on awards effectively requires savvy marketing – and some cannabis business owners say the costs and time involved in entering competitions can offset any gains. Marijuana Business Daily spoke with a handful of cannabis professionals about the value of awards and how businesses can make the most of a win. Marijuana competitions often generate a following of their own on Twitter and Facebook from fans who cannot attend. Companies that win an award at the show can reach these followers by employing a smart social media strategy. Aaron Justis, owner of the Buds and Roses Collective in Los Angeles, said he now brings a staff member to awards shows to act as a photographer and social media manager. Buds and Roses has won several Cannabis Cup awards, and Justis said the company updates its social media immediately if it wins. Justis then follows up with an email to his customers explaining the significance of the award and which specific marijuana strain or product won. Competitions in other industries often require winners to use the official trademarks or logos when promoting a win. The Great American Beer Festival, for example, stipulates that winners must include the year, the category and the type of award given in all of their promotional material. Nancy Johnson, event director for the Brewer’s Association, said the trademarking requirement benefits the brewers as well as the competition. Cannabis companies should therefore inquire about whether official logos or trademarks can (or are required to) be used. 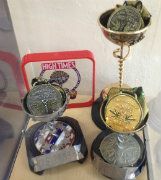 It is common for dispensary owners to display trophies and awards in the waiting room to catch the eyes of customers. These businesses should also think about promoting product-specific awards at the point of sale, such as the counter of the cash register. Todd Ellison, owner of the Denver-based company Marijuana Marketing, said companies often fail to call attention to award-winning strains or products in the precious few minutes when a customer is contemplating a sale. Elliott said owners should create some type of visible sign or literature that features the name of the award as well as the product. Ellison recently launched his own industry award, called the Weed Cup. He said every category winner received certificates with the specifics of the award-winning product, which can be display on the wall or near the counter. Cannabis entrepreneurs usually select their top strains or best products to enter into an awards show. Unfortunately, this often means that the products or plants come from a small batch or are tied to an exotic, hard-to-find strain. Justis said this dichotomy can create inventory problems if a product wins an award. The victory can lead to a rush of customers, however there sometimes isn’t enough on hand to meet demand. He said entrepreneurs should stock up on products that they’ve entered into an awards show, just in case it wins. Entrepreneurs should target competitions and awards that cater to their business needs. Larger, more competitive competitions may entice many entrepreneurs to enter, though the chances of winning are slim. Smaller brands can easily fade into the background at these events. For business that are just starting out, a smaller, regional competition may be a better bet. There is still promotional value from these smaller competitions: Even minor awards can resonate with customers. For large and mid-sized companies, the national or state competitions and awards can galvanize a firm’s reputation and solidify its place in the market. 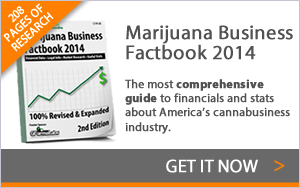 Marijuana Business Daily spoke with several marijuana entrepreneurs who said they do not value these awards at all. Some believed that awards only resonate with a small segment of customers, and that the competitions have questionable judging methods. Ellison said he believes the industry could be nearing a saturation point with awards and competitions, which could lead companies to back off on promotion. Justis said the high cost of entering competitions has chased some entrepreneurs away. Entrants in the Cannabis Cup, for example, must submit a $1,000 fee and 40 grams of product per strain. Advertising a winning strain only ads to the cost. Still, Justis believes that all competitions – even the small, regional ones – have promotional value. I guess there is some notariety in it for commercial growers or seed brokers, but I don’t really see the point in naming a particular strain without having a method to match the phenotype. All that happens is that then a lot of people spend money on seeds and clones to say that their strain was the 20XX of the ABC Cup, when the reality is that it was probably a completely different phenotype that won, and even if it were the same there is no way to prove that it is of the same genetics.